The last remaining train depot of it's kind in Northeast Michigan. The display includes an actual caboose and switching engine. The Lincoln Depot, a wood structure that has been standing since 1886, was built by the Detroit, Bay City and Alpena Railroad. The Depot is located on Lake Street in Lincoln and served the community and the surrounding area until 1929. The first rail service to this area passed through Lincoln from the south and continued north through Ossineke and Alpena. 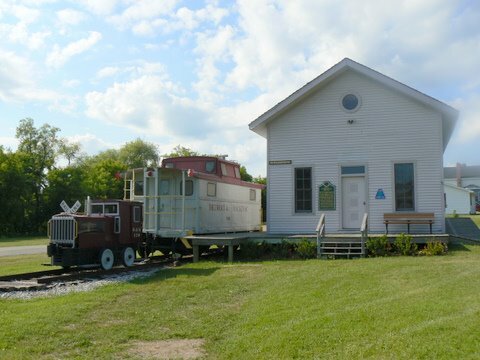 In December of 1998, the Lincoln Depot was officially recognized as a Michigan Historic Site.